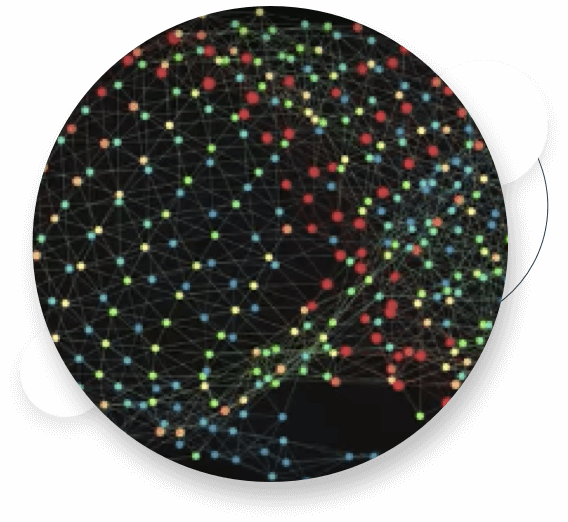 The engine that powers our platform is called Topological Data Analysis (TDA). TDA is considered to be one of the most significant technological advancements ever funded by DARPA and is the source of a broad range of awards and recognition. Ayasdi has the only enterprise implementation of this powerful technology. TDA is based on the mathematical discipline of topology. Topology studies the shape of data. TDA refers to the adaptation of this discipline to analyzing highly complex data. It draws on the philosophy that all data has an underlying shape and that shape has meaning. Ayasdi’s approach to TDA draws on a broad range of machine learning, statistical, and geometric algorithms – combining and synthesizing them in accordance with the data. The analysis creates a summary or compressed representation of all of the data points to help rapidly uncover critical patterns and relationships in data. By identifying the geometric relationships that exist between data points, Ayasdi’s approach to TDA offers an extremely simple way of interrogating data to understand the underlying properties that characterize the segments and sub-segments that lie within data. TDA reduces the possibility of missing critical insights by reducing the dependency on machine learning experts choosing the right algorithms. It often uses current machine learning techniques as input to find subtle patterns and insights in local data. In general, TDA enhances any algorithm that it is paired with.